The three godless years of the title are 1942-1944, years when the Philippines suffered under Japanese occupation and became disillusioned about American aid. Rosario and Crispin are idealistic young lovers when the war breaks out. Duty-minded Crispin leaves for the front. Manila and Bataan fall. The U.S. army retreats. Crispin returns traumatized by the atrocities he has witnessed, joins the guerilla resistance and promptly disappears again. In his absence Masugi, a part-Filipino Japanese officer and his best friend Francis, a homosexual doctor, stop at Rosario’s house late one night, lost. 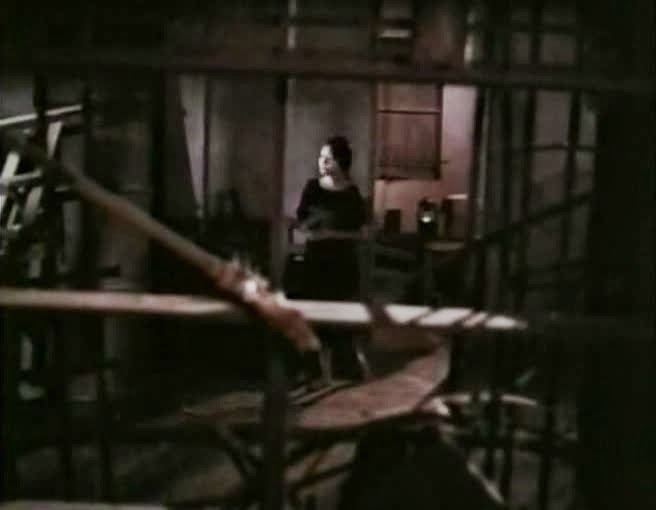 After the two unwanted houseguests get drunk, Francis holds the family at gunpoint while Masugi rapes Rosario in the basement. But the next day Masugi returns, penitent, and tries to make amends with canned foods and other favors. Rosario, outraged, repelled and vengeful, spurns him. Her family lacks her resolve. She eventually reveals her pregnancy to Masugi and his reaction, surprisingly, is joy. Rosario struggles whether to keep the child and shortly after its birth her anguish and confusion reach a breaking point. 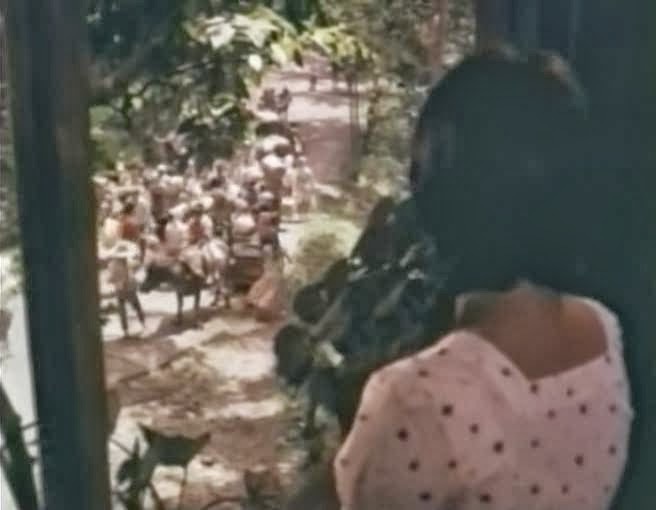 Reluctantly acknowledging Masugi’s love as genuine, she marries him and they begin cobbling together a quiet corner of happiness, but Crispin’s return and the end of the Japanese occupation in 1944 plunges them back into trouble and terror. Crispin observes his own side’s ruthlessness, Masugi is now the one on the run and Rosario is branded a traitor. In a final scene, a blind man lights church candles whose light he cannot see but whose heat he can feel, leaving it ambiguous whether god is ‘back’ or not. 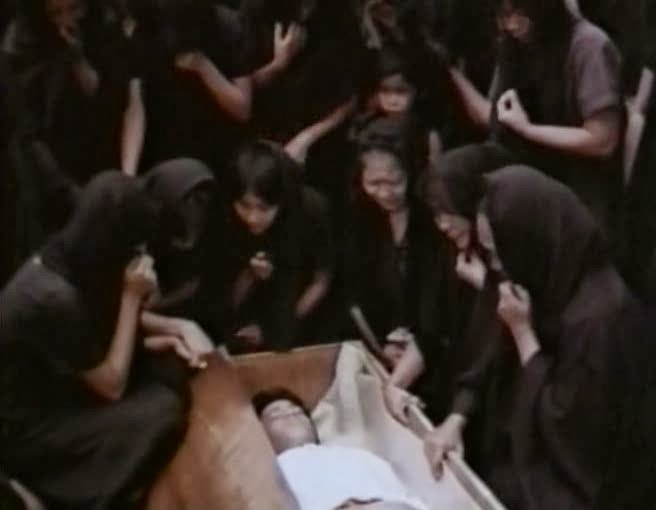 Director Mario O’Hara never achieved the international recognition of his colleagues Lino Brocka (Manila in the Claws of Neon, Weighed and Found Wanting) and Ishmael Bernal (Himala, Manila by Night), but Three Godless Years stands out as a masterpiece. The film’s dark themes border on tragic melodrama, but O’Hara rejects sensationalism, sentimentalism, easy answers and cheap ironies. He builds his fully-realized characters from layer upon layer of human experiences and hard choices and forces us to reevaluate them as they change through constant desperate struggle for survival, happiness and peace. The acting isn’t always polished (nor is the editing, which may have suffered from censorship), but the screenplay is dense with the tangle of emotional, ethical and moral strife that transcends the simplistic platitudes of most war films. Three Godless Years is also a deeply political film, which uses historical newsreel footage as chapter breaks and isn’t afraid of making unpopular statements. There’s a scene where Masugi spares Crispin’s life and hands him a gun that beautifully reveals their brotherhood of grief, heartbreak and war-weariness, before dashing it apart in a pathetic brawl that’s as much about the frustration of a small country caught in the middle of a war between two vast imperialist powers, as it about the jealousy of two men who love the same woman. It’s a scene that illustrates O’Hara’s mastery over managing multiple levels of conflict (internal, external, between people, nations, ideas) without declaring clear victors or preaching right answers.